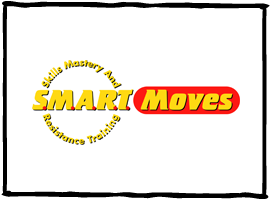 SMART Moves (Skills Mastery and Resistance Training) is a nationally acclaimed comprehensive prevention program that helps young people resist alcohol, tobacco and other drugs and avoid premature sexual activity. The program features interactive, small-group activities designed to increase participants’ peer support, enhance life skills, build resiliency and strengthen leadership skills. This year-round program uses age-specific modules that engage Club staff, volunteer community members, and peer leaders in a team approach to prevention. To help young people resist the use of alcohol, tobacco and other drugs and postpone sexual activity. Young people need viable solutions that enhance their life skills, build their resiliency, improve their health and strengthen their leadership skills. Want to participate in SMART Moves? Or just have a question?